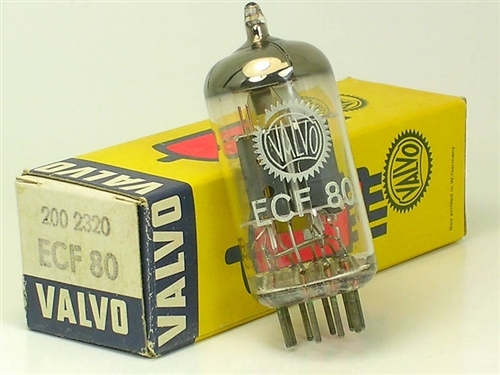 ECF80 / 6BL8 VALVO FRANCE NOS 1960 in VALVO BOX. This tube is a "PROFESSIONAL SPECIAL QUALITY" Premium Quality Ultra RARE alternative to the 6BL8. Rarest Old Production VALVO La Radiotechnique BEST SOUNDING MADE IN FRANCE, Halo Getters, Identical construction. Very Musical Tone with Long Life! THE PROFESSIONAL CHOICE for McIntosh Tuners MR-65B, MR- 67, & MR-7. 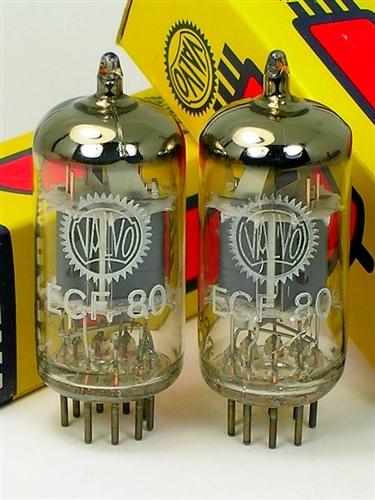 This tube is an important integral tube in the overall sound, reliability and performance of your tuner. 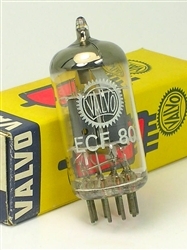 Made in Chartres, France and display the VALVO La Radiotechnique code - 399 +/-0I2 = 1960 manufacture date. Almost NEVER SEEN, These are the HOLY-GRAIL of the 6BL8's the ULTIMATE 6BL8! IMPOSSIBLE TO FIND with this Quality Museum Quality Condition! 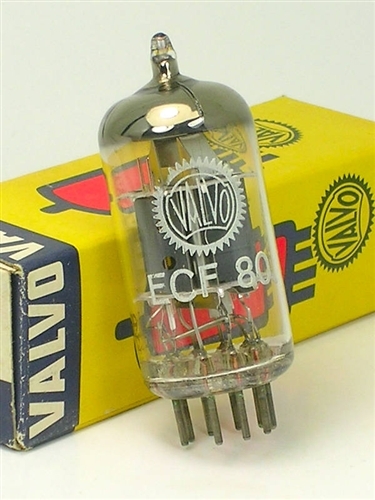 Get rid of those old 6BL8 and UPGRADE to Valvo France! Would you feed yourself without knowing the ingredients? Of course not, so don't feed your precious tuner a tube not knowing the complete specifications! Here we have an perfect outstanding example of the NOS in original box Valvo France 6BL8 Valve. PRICE IS EACH - BID 1 FOR 1 TUBE, or BID 2 FOR A MATCHED PAIR!